Volume 3, Edition 5	 Trouble loading? View this email online. 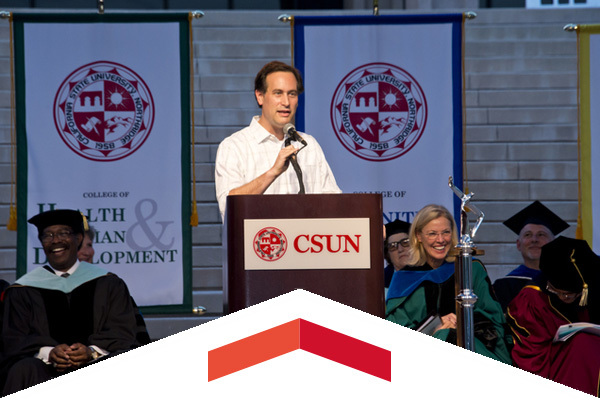 Freshmen should not let others define who they are urged author David Levithan, the keynote speaker at CSUN’s Freshman Convocation, an annual event that formally welcomes first-year students to the university. 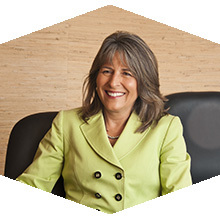 It was an inner fire, a drive to succeed that propelled Lorie Zapf from a San Fernando Valley family ripped apart by alcoholism and siblings dispersed into foster care, to paying her own way through CSUN, to working her way toward earning a seat on the San Diego City Council. Despite rising temperatures, Californians this summer cut their water use significantly in an effort to help the state deal with a severe, ongoing drought. 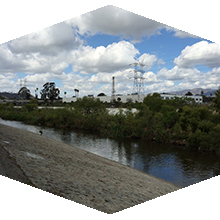 CSUN’s new Center for Urban Water Resilience gets to the “how” and “why” — important questions relating to water. Fri, Sept. 25, 6 p.m.
Come early for the pre-game Fan Fair for free food, music games, prizes and a chance to receive a CSUN limited-edition neon T-shirt at the Matadors’ home opener. Tue, Sept. 29, 8 p.m. The Grammy-winning singer, one of the most versatile vocalists of the modern era, talks about her book and her life experiences. Thu, Sept. 24, 6:30 p.m. The Mike Curb College of Arts, Media, and Communication, together with the Department of Cinema and Television Arts present the first speaker in this year’s Commerce of Creativity Distinguished Speakers Series. For Your Information this week features information and opportunities about Rooting Out Unconscious Bias, Faculty Retreat 2016 information, and information about the memorial service for CSUN Faculty Shane Frehlich. Open Enrollment is the opportune time for benefits-eligible employees to evaluate current benefits and review what makes the most sense for you and your family going forward. Any changes made take effect Jan. 1, 2016. New to campus or just tired of your daily commute? Want to go green? Come explore your options to easily, safely and affordably get to and from campus. Learn about CSUN’s Transit Center, MetroLink, the shuttle, Metro, carpools, transit subsidies and parking options.